Recently I came across a book called Seeing Red by H. Arp. The book questions the fundamental ideas in the Big Bang Cosmology. working fine, when it does not, it is noise; the instrument is faulty. spirit of science. When every thing else fails the integrity of the person is under question. The last chapter is a must read for all students of science. which contradict their current theories and assumptions. compelled to fit the observations to the theory and not vice versa. believe if they don’t want to. anything important for more than a few years. The establishment always confuses data with theories. observations could be interpreted properly. which can be interpreted in terms of that theory. with a more effective mode of doing science. responsibility, it misuses public funds. 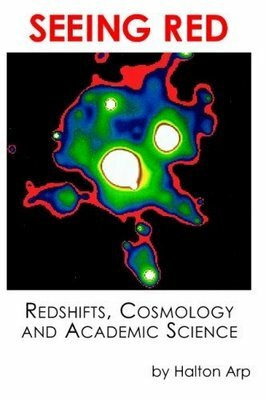 This entry was posted in arp, big bang theory, cosmology, philosophy of science, red shift. Bookmark the permalink.